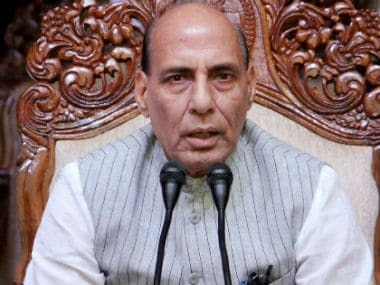 Chandigarh: Mounting a scathing attack on Pakistan, Home Minister Rajnath Singh on Monday said its entire establishment is engaged in fuelling terrorism in India making management of the Indo-Pak border "challenging" and warned that "those who breed snakes get bitten by them". He slammed Islamabad for adopting a "very flexible" approach to deal with terrorism and said if it wanted, India can help it carry out an anti-terror campaign in PoK. Singh asserted that India is against Pakistan-sponsored terrorism and does not breed any hatred towards Pakistani people. Addressing a two-day Regional Editors Conference from north and northeast states, he said, "Pakistan is so obsessed with Kashmir that it cannot see the difference between a freedom fighter and a terrorist. When there is a talk about state and non-state actors, the argument put forward is that Pakistan is a non-state actor. "The truth remains that the entire establishment in Pakistan is engaged in fuelling terrorism in India. And that is why managing our borders with Pakistan, as compared to other countries, has become a challenging task." Pakistan has adopted terrorism as its state policy and is getting isolated in the entire international community, the minister said. "Pakistan is so obsessed with some issues that it cannot do any good, nor can it see its own good. By adopting terrorism as state policy, it is isolating itself not only in south Asia, but in the entire international community. "In Brics' Goa declaration, terror was strongly condemned. It was stated that no state should allow its territory to be used for terror activities," he said. He also denounced Pakistan for adopting a "very flexible" approach to deal with terrorism. "As far as our relations with Pakistan are concerned, the biggest hurdle is that Pakistan's approach towards terror remains very flexible. Those who breed snakes get bitten by them. Pakistan should understand this. India wants that terrorism should be wiped out from the entire region," Singh said. The minister said, "We want to say that we do not breed any hatred towards Pakistani people, but if we have hatred, it is towards Pakistan-sponsored terrorism. "If Pakistan's intention to act against terrorism remains clear, India will help it conduct an anti-terror campaign in PoK. It can also take help from anyone in the global community, but its intention is not clear. If terror factories operating across the border are closed down, it can usher peace in the region and open doors for development." Singh said that four months ago a committee was formed to give suggestions on sealing the border with Pakistan. 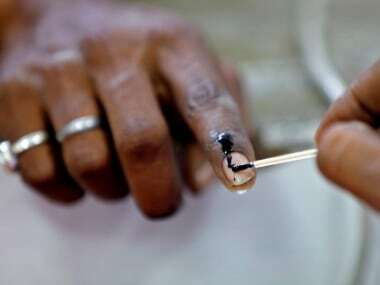 "The Madhukar Gupta Committee has submitted its report. We have also prepared an action plan. We will completely secure the Indo-Pakistan border by 2018," he said. Physical barriers have been put up along 2,034.96 km of the 2,289.66 km-long Indo-Pak border, he told the gathering. "The rest of the boundary is 254.80 km long. It includes riverine areas and tough terrain. We have decided to create physical barriers wherever possible. Where physical barriers like erecting fencing is not possible, non-physical barriers should be created," he said. "For non-physical barriers, there are solutions like sensors, radars and laser wall. These all will be used," he said, adding a pilot project in this direction is being implemented by BSF in Jammu, Punjab and Gujarat. "The use of non-physical barriers on experimental basis will help ascertain up to what extent it is helpful and what sort of loopholes are there which need to be addressed. A report in this regard is expected to come by the end of the year," he said. Talking about the surgical strikes by the Army across the LoC, Singh said it was a counter-terror operation. "Our forces did not cross the LoC to carry out an attack on Pakistan, but they carried out pre-emptive anti-terror surgical action to destroy the terror launch pads there," he said. The minister said India's ties with China are "good to a large extent" and that there was a drop in the cases of transgression in the past two years. "We consider our borders with China and Pakistan as strategic and sensitive. As far as our border with China goes, ITPB is entrusted with guarding it. We keep talking on perceptional differences (related to border). "Overall, I can say our relations with China are good to a large extent. Its result is that after 2014, there has been a drop in cases of transgression. Till September, 170 such incidents took place. The number was 270 in the corresponding period last year and 432 in 2014," he said. "Earlier, transgression cases were high, but there has been a decline in the past two years. We have tried to resolve our border issues with China from time to time. We have focused on development and trade," Singh said. Singh also touched on insurgent groups in northeast. "India is actively engaging with neighbouring countries that share border with our northeastern states to put a stop to any anti-India activity. 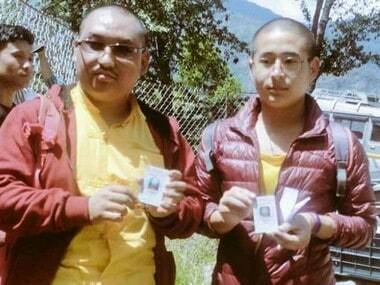 "Talks were held to urge the insurgents groups which are active in northeast to leave the path of violence. We have acted strongly against those were adamant," he said. "A framework agreement has been signed with NSCN-IM and there has been a good progress in it," he said. As a result of steps undertaken by the Narendra Modi government over the last two years, there is peace in large parts of Tripura, Assam, Mizoram and Arunachal Pradesh. 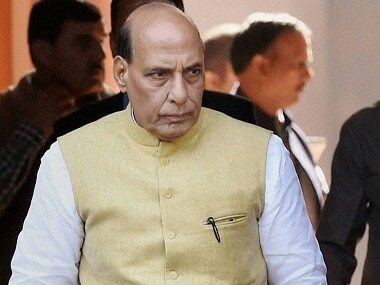 Also, there has been a decline in incidents of violence in Manipur and Nagaland, he said. The violence in northeast is at its lowest level in the last 20 years, he claimed. The Home Minister said that for effective border management, India is engaging with neighbouring countries at diplomatic level to find solutions to the problems. "The Bangladesh government has entered an agreement with India to tackle the problem of fake Indian currency notes. Terror outfits get their funding from fake currency notes and narcotics. To end this, our government has taken several steps," the minister said. "I can say that after the 2008 Mumbai attacks, we have brought changes in the national security structure...our agencies are better prepared. As far as the coastal security is concerned, we have taken several effective steps," he said. Talking about the Left-wing extremism, he said, "We have deployed more forces in 10 affected states. In 2009, 37 battalions of paramilitary forces were deployed in Naxalism-hit regions. Now 100 battalions are deployed in the affected areas." "Our security forces do not want to kill anyone, but some times they have to act in self defence. Till September, 140 Naxals were killed. There has been a considerable decline in Left-wing extremism," he said. "We are also working to deal with the challenges posed by cyber crime and cyber terrorism," Singh said. Singh said steps are being taken to bolster security at the Indo-Bangladesh border and more forces have been deployed. Taking potshots at those trying to "politicise" the surgical strikes, he said there should be no debate on issues concerning national security. "It is very unfortunate". Asked about the evacuation of people living within 10 km of the International Border after Army's action, Singh said, "Sometimes such precautions have to be taken. We thought Pakistan will retaliate, but you must pat the back of our forces, nothing happened."